Status: Eliminated by Deborah Ann Woll, Round 4! 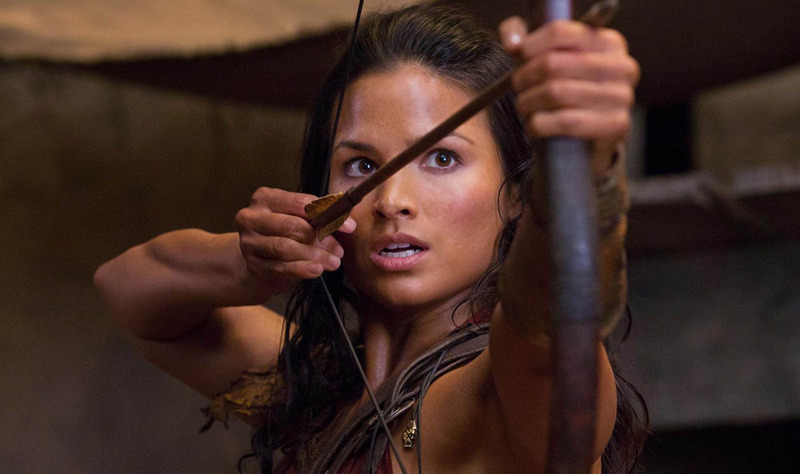 Katrina Law is actress who played Mira in Spartacus on the Starz network. I first saw her playing a red-leather clad Mord-Sith in The Legend of the Seeker and she also had a guest spot on one of my favorite shows, Chuck. She got her start with bit spots on Reba and Third Watch. She will be appearing in the upcoming film Death Valley. Katrina’s mother encouraged her to participate in a variety of activities and in high school she participated in Varsity soccer, cheerleading, and weightlifting. A New Jersey native, she graduated from Richard Stockton College with a degree in theater. She was also a member of the National Honors Society and was a former beauty pageant contestant having won the title of Miss New Jersey Teen USA. Check out her interview with SDCC Insider!